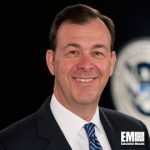 Greg Touhill, the first-ever federal chief information security officer, has joined information technology infrastructure company Cyxtera Technologies as president of its newly established federal business. The company said Tuesday Touhill will lead Cyxtera Federal Group‘s efforts to deliver data center and cybersecurity services to the federal government market. Cyxtera CEO Manuel Medina noted that CFG will work to address the security requirements of federal agencies through its IT infrastructure service portfolio and investments. Touhill served as the inaugural federal CISO after his appointment by former president Barack Obama in 2016 and oversaw the implementation of digital security policies and strategies across government. He stepped down from that role in January during the transition to the new administration. The retired U.S. Air Force brigadier general was instrumental in the development of the Air Force’s training programs for cyberspace operations and served with the U.S. Transportation Command, U.S. Central Command and U.S. Strategic Command. Touhill will lead the new Cyxtera organization that will be based in the Washington, D.C., metropolitan area, where the company says it has six data centers. “I’m looking forward to joining the private sector to help create efficient, effective and secure solutions to protect the federal government’s critical information systems, on which our citizens and institutions rely,” he said.